I contribute written, photo, and video content to my sponsors' websites, and write for online and print magazines. I have been a featured athlete in two adventure films and various podcasts. Click on the photos for samples of my work. I wrote an article for BikeRumor magazine about my experience racing the Glacier 360 Stage Race in Iceland with my teammate Bergur Benediktsson. This was my second time in Iceland, I’m so grateful to have had the opportunity to spend time here. This place is wild and stunning, check out the story and photos! I go DEEP with my dear friend Sydney Campos on her Visionary Souls podcast talking about some of my greatest challenges to date and how they have become my most treasured gifts. We talk about limiting beliefs, trauma, and old wounds and how it’s possible to rewrite our stories and transform our lives. I was featured on the website “She Rides Her Bike,” detailing my life of adventure and my recent trip to circumnavigate Puerto Rico via fat bike and packraft. I wrote a blog post for Fatback Bikes’ website about my solo exploratory trip around Puerto Rico on board their XS Corvus fatbike and Kokopelli’s Hornet Lite packraft. Click the photo to read the article! I published a story through the platform Medium which allows writers to be financially supported directly by consumers in their own online “publication.” This has been a fun experiment! The story is about my experience in the 2018 Colorado Trail Race. In April 2018 I went to Valdez, AK to ride for an artistic adventure short film entitled “Blue” (by Aly Nicklas / Ursa Major Productions). This film is currently touring film festivals for 2018/2019 -- click on the photo for details. I talk with Elizabeth of Hear Her Sports Podcast about my life of adventure, my fears and limitations and how I work with them, and my mission of being a guiding light for others seeking an inspiring and adventurous lifestyle. I chat with Fritz from The Senders Game podcast about my experiences with sleep deprivation on the 2018 Colorado Trail Race. Tune in for some fun stories! The Adventure Sports Network featured me in an interview about my favorite trail rides around the US. Click on the photo to read the article and find out my prime shredding spots! 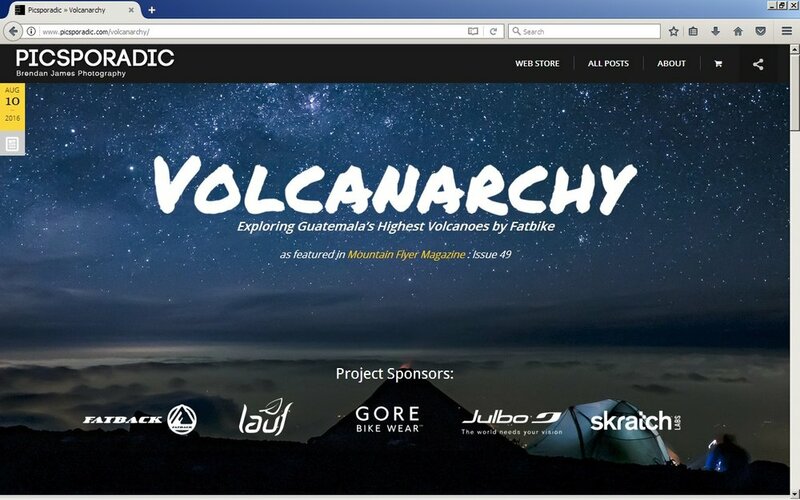 I wrote a story and my teammate Brendan contributed photographs from our "Volcanarchy" expedition to be used for the redesign of the Fatback Bikes website. 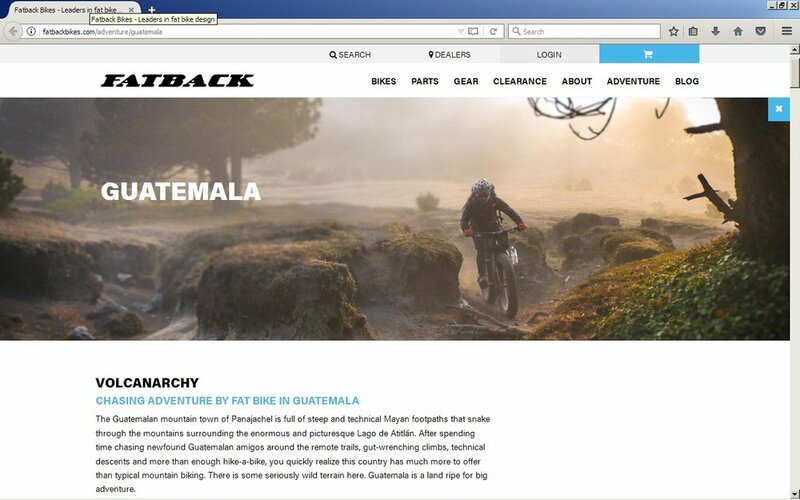 Check out their "Adventure" section to see what is possible on a fat bike! In 2015 I traveled to Iceland and remote parts of Nevada to ride for the feature-length adventure documentary film Off The Beaten Path, which opened in 2016 and toured film festivals and feature premieres before releasing for free on Vimeo! Click on the photo to watch the trailer. 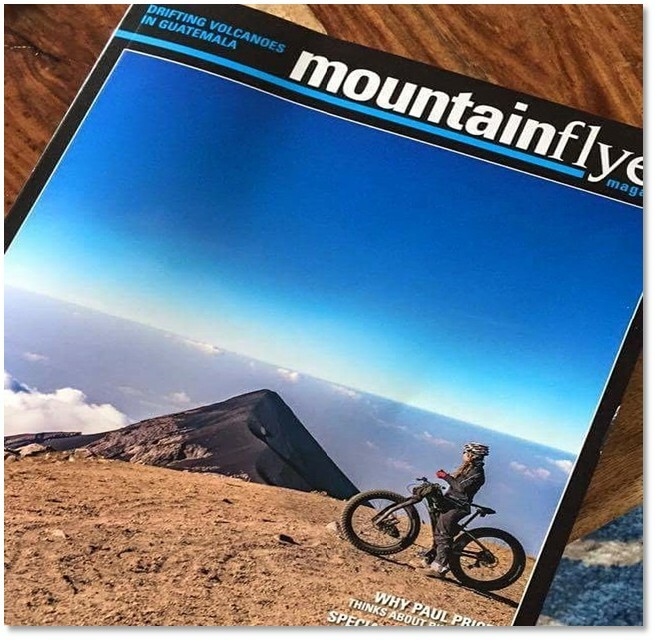 I wrote a feature article for Mountain Flyer Magazine Issue 49 entitled "Baptism By Fire," about my Volcanarchy expedition, featuring photographs from Brendan James photography. We also got the cover shot. I wrote an article for Outside Online Magazine's Culture section about how to survive an adventure race with a teammate. I wrote an article for Irwin Guides' website about my experiences in their spring Ski Mountaineering course. Photojournal and story of the entire Volcanarchy expedition: a 3-week attempt to fat bike Central America's highest volcanoes.